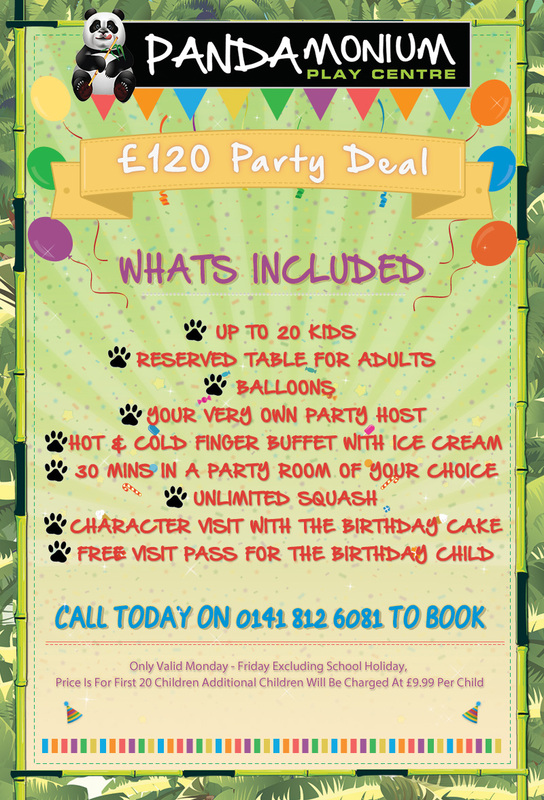 Looking for the perfect party package to celebrate your children’s birthday? Pandamonium play centre offer a variety of affordable childrens birthday party packages. Whether you are from Glasgow, Paisley, Erskine or elswhere in the west of Scotland, we have the party package to suit you! Would you like to have exclusive use of the whole play centre for your party?